The ZZ Plant is so cool with its strong arching fronds. 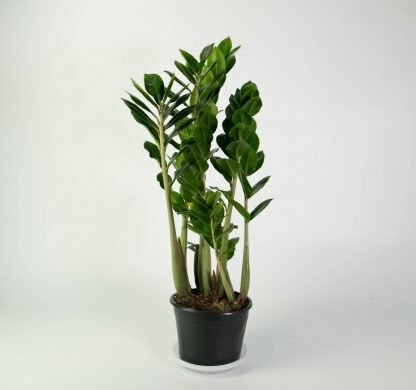 Also known as Zamioculcas Zamifolia or Zanzibar Gem, this house plant almost thrives on neglect and low light, and helps clean the air of benzene, formaldhyde and trichlorethylene. Plants are around 30cm in height. Supplied in a black plastic grow pot of 14cm diameter.